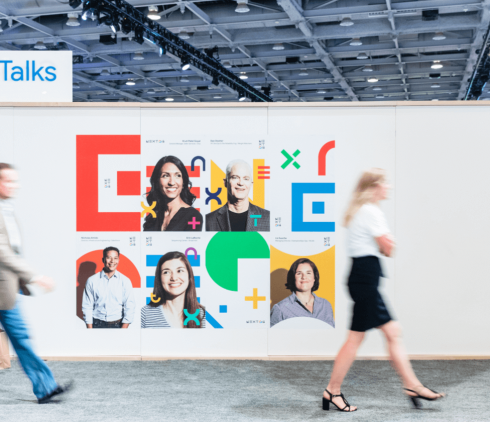 Google Cloud’s annual conference for IT professionals, Google Cloud Next, is taking place this week in San Francisco, and a number of companies are using the event as an opportunity to showcase new solutions and updates to existing ones. XMatters has launched a new no-code tool for creating incident management workflows. The new Flow Designer will allow authorized users to automate incident resolution easily from a drag-and-drop interface. Key benefits of Flow Designer include greater consistency for IT teams, higher velocity due to decreased time to resolution, and increased productivity as a result of less unplanned work by development and technical teams. Cohesity is launching a new software-as-a-service solution that will provide backup and recovery services for applications that are running on Google Cloud. Cohesity Backup Service for Google Cloud provides a single dashboard for managing services. It also offers self-service capabilities based on user roles and integrates natively with Google Cloud’s Identity and Access Management to enable that, Cohesity explained. Harness is now available for purchase in the GCP marketplace. The continuous delivery-as-a-service platform will provide Google Cloud customers with a way to automate the continuous delivery process. Key features of Harness include a pipeline builder, workflow wizard, continuous verification, automated rollback, continuous security, and real-time delivery analytics. Last week, Harness also joined the Continuous Delivery Foundation as its newest project. Sysdig has announced version 2.0 of its Cloud-Native Visibility + Security platform. The latest version will offer a single, unified view of the health, risk, and performance of cloud-native environments. According to Sysdig, the solution solves a wide range of use cases in cloud-native environments, such as image scanning, compliance, performance monitoring, run-time security, troubleshooting, auditing, and forensics. Storage company Portworx revealed that Portworx Enterprise is now available on Google Kubernetes Engine (GKE) and GKE On-Prem. According to the company, Portworx Enterprise helps solve some of the challenges that prevent enterprise from adopting Kubernetes, such as high availability, disaster recovery, and data security. This new partnership will enable those enterprises to fully automate data management across the entire application lifecycle, Portworx explained. Confluent has announced a strategic partnership with Google Cloud. As a result, the Confluent event streaming platform will be closely integrated into GCP. According to Confluent, the integration will offer users a seamless experience across management, billing, and support. Monitoring company Blue Medora has released BindPlane for Google Stackdriver. BindPlane provides visibility into Google Stackdriver and its new log streaming capabilities will extend that visibility into customer data centers and public clouds. The company also announced a partnership with Google Cloud, which will allow them to offer an embedded monitoring-integration-as-a-service solution for Stackdriver customers.